This morning we had a sharp-shinned hawk visit our garden. I don't know if it's the same hawk we see with regularity, or not, but I always like think it is. I think it was disappointed today to find no birds at the feeders, as the sparrows seem to be a favorite meal. 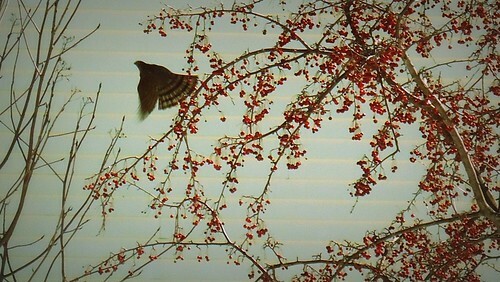 We haven't seen the hawk all winter, however, so I wonder if this is a harbinger of spring? What a wonderful thought!